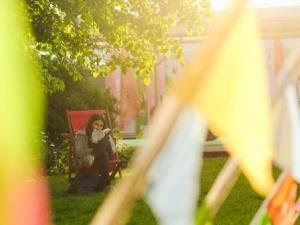 There's nothing quite like the Hay Literary Festival. It's a true celebration of books, storytelling and creativity. At this year's festival, award-winning novelists, travel writers, Pulitzer Prize winners, children's authors, broadcasters, performers, thinkers, pioneers, artists and innovators will appear at talks, debates, performances and readings over the nine day programme. Hay Festival’s programme for its 32nd edition: Award-winning writers will gather to launch new work, while global policy makers, pioneers and innovators seek solutions to the biggest issues of our time, from the rise of populism to the climate crisis. Featuring over 600 speakers in events across 11 days, the Festival also offers a vibrant schedule of late-night music, comedy and entertainment for all ages alongside HAYDAYS and #HAYYA programmes encouraging younger readers to get creative. Major global anniversaries will be marked through the week, including Da Vinci 500, Rembrandt 350, Kindertransport 80 years on, Stonewall 50, and Tiananmen Square 30 years on, plus a range of milestones in the children’s book world: Elmer and We're Going on a Bear Hunt at 30, The Gruffalo at 20, and 20 years of the Children’s Laureate. The Hay Festival takes place on a greenfield site, 5 minutes' walk from the centre of the town of Hay on Wye.